Can you fix it or prevent it? Bad breath? Trouble chewing? Cat hiding more? These can all be signs of dental disease in your pet. You quickly go to your vet and are told you your pet may have dental disease. Where did this come from? Can you fix it or prevent it? Read on to find out! 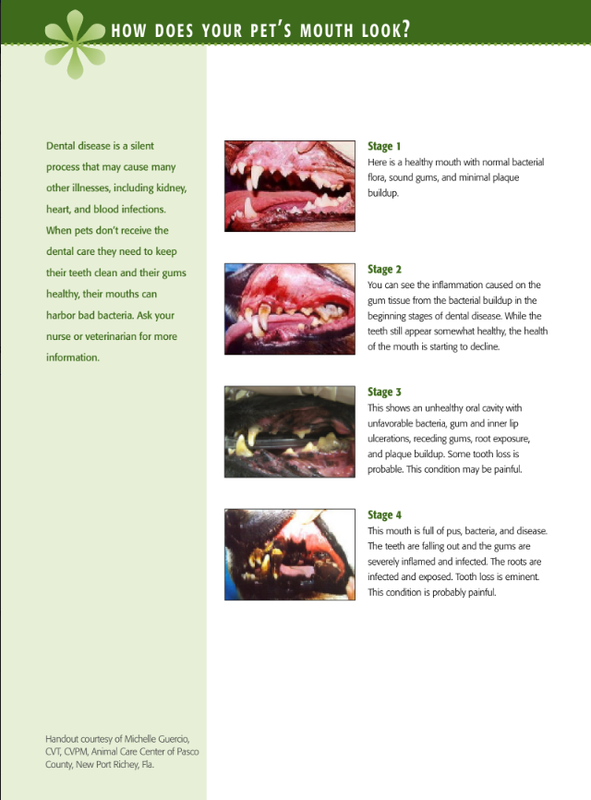 Dental disease is a very common problem in both dogs and cats and is especially prevalent in smaller breeds. A thin layer of protein from food, saliva, and dead cells forms on your pet's teeth. If allowed to build up, this layer creates the perfect grounds for bacterial plaque to buildup on your pet's teeth and gums. Bacterial plaque buildup along the gums can lead to gingivitis ( inflammation of the tissues around the teeth), inflamed gums, and infection that can actually spread to other parts of your pets' body. So what can you do to prevent this bacterial plaque from building up? 1) DO NOT USE HUMAN TOOTHPASTE! 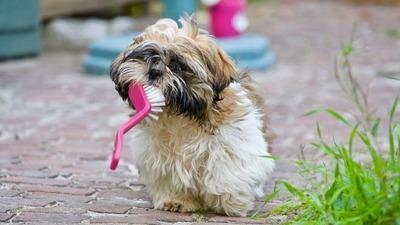 It is not safe to use human toothpaste for your pet. The fluoride can be very dangerous for them. I fact starting out, I wouldn’t use any toothpaste at all and when you do transition, I would pick up toothpaste for pets from our clinic or your local pet store. 2) Start slow, with one tooth at a time. We generally recommend starting with a finger brush (picture below) and brushing only one tooth then stopping and praising your pet. The next day, maybe do two teeth and so on. You want your pet to get used to you being in their mouth. 3) If you have a rescue or older pet that you aren’t sure if their teeth are ok to be brushed, make an appointment to see us first and have us check their teeth. If your pet's teeth already have a large build-up of plaque or if they have loose teeth or exposed roots, it can be painful to have their teeth brushed. In this case, they will probably benefit from a dental cleaning (and possibly having some teeth pulled) under general anesthesia at the office before starting a regular brushing routine. In addition to brushing your pet's teeth, when your pet chews on some toys, treats, or special formulated food they provide a mild abrasion to the layer of protein to help prevent buildup. Try to look for the Veterinary Oral Health Council (VOHC) seal of approval on these products. Check in next week for another post on what happens if your pet gets a dental! Lots of exciting changes ahead!